I began to truly simplify my life when I learned to say no. And does a good turn every day.” – Brownie Guide Law, pre 1996. 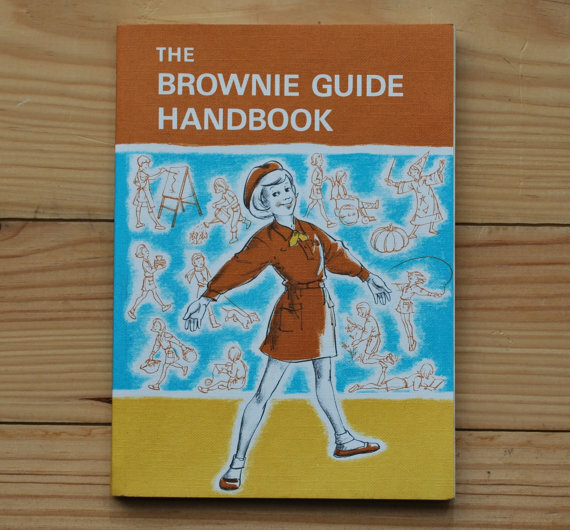 Were you ever a Brownie Guide, or a scout? I can’t speak for the scouts, but the Brownies made an impact on me as a kid. As did the Brownie Guide Law (quoted above, prior to 1996). Brownies, and the culture around me, taught me I always had to be available to help others. I always had to be ready to assist. I always had to say yes. To say no to the needs and requirements and demands of others was selfish and rude and greedy. It wasn’t decent. It wasn’t what Good Girls did. But saying yes to everything led to problems. I grew up saying yes, all the time. I was the one who tried to help others. I said yes when my friends wanted to use my things, or “lend” my money. Saying yes to others often meant saying no to myself and my own needs. Giving so much to others at my own expense resulted in a great deal of resentment and unhappiness, over time, for me. The truth is, as Hagrid might say, not all people are good. The assumption that we should always be there for others, and do good turns every day, only works when we have energy in plenty and enough to give in excess. But often we don’t. What happens then is our own needs suffer as we cater to the whims of others at the expense of ourselves. I view this as a feminist issue, and yes, this is a feminist post. Because women are taught to forego our needs for others far more than men are taught to do so. Women are taught we must always say yes, always be ready to assist, to volunteer, to help. We’re also taught that what we want isn’t as important as what others want, and what we do isn’t as important in a very real, monetary sense. Women volunteer at significantly higher percentages than men, and are significantly less likely to negotiate for higher salaries in job situations. Both indicate that we don’t value ourselves, our time, and our work as much as men do. I began to truly simplify my life when I (metaphorically speaking) threw that old Brownie Guide Law in the dustbin where it belonged, and learned to say no. Learning to say no gave me freedom and self-respect, and paved the way for a simple, calm life. Saying no is a skill that women in particular often struggle with, but we really need to learn. Until we learn to put our own needs first, adjusting our own oxygen mask in that emergency like we’re taught on every flight, we cannot begin to simplify our lives in any real, concrete way. Because until we learn to say NO, we will always be subject to the whims of others. Personal empowerment comes from throwing our baggage away. Accepting that we can be good people, honest people, kind people – even Christian people, if we choose – and still say no. No is a word of kindness. To ourselves. No is the simplest word. No is the simplest word, and it comes relatively easy for me. For years I put my wants ahead of your wants, your needs and even my own needs. Today, I put my needs ahead of my wants, your wants and even your needs. Why? Because if I don’t, then I’m no good to anyone. Thanks for this piece! I absolutely agree, but for years women (in my culture at least!) were taught that to have our own needs, wants and desires was “selifsh”. No more! As you say, if you don’t look after yourself, what shape are you going to be in? Almost as screwed up, I reckon! While it’s important to think of others and their needs, you have to consider yourself first, or, as Kim comments above, you’re no good to anyone! I spent my first ten or so adult years doing WAY too much volunteering and being generous. Those days are over. I’m still a generous person, but I volunteer very little, and consider carefully before giving my time or effort. I’ve noticed that it’s the same people, over and over again, who end up volunteering for things – is it the same in your neck of the woods? And it’s the same majority who do nothing. I aim to tread the middle path, doing my fair share. I think that’s best. And I’m really good at saying no these days. Yep, it’s similar here. I remember a time in my life where I overcommitted in work, volunteering, with friends, and more. I think much of it is about seeking approval from others by doing that and society encourages full schedules (like kids running back and forth between a zillion activities and not having time to just…play!). Once we learn that we don’t need that approval, we relax and put our own needs first, thereby allowing us to prioritize and savor life more. I am much better at the “no” as well – for me it was leaving my corporate career and starting my own business, thereby reclaiming my time and control over how I lived my life.